When it comes to communicating with friends people are relying more and more on instant messaging services like iMessages. If you are like most people and use your iPhone or iPad’s iMessage application to communicate with your contacts then ShareMe tweak can be of great use for you. 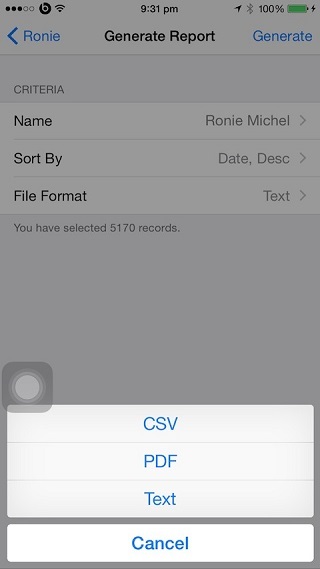 The tweak allows users to save their conversations as PDF, CSV or text files and share them with whomever they want. Using ShareMe you can instantly create a report of a conversation page with all the messages contained in it. After saving a report you can upload it on any cloud service of your choice for backup purposes, view it right on the device as well as share it with other people. ShareMe adds a ‘Sharing’ button on the conversation page that when tapped shows a menu, which shows select or select all options. This means you can either create a report for the whole thread of messages or individual messages of your choice. Then on the next page you can configure settings for the report such as name, sorting and its format. ShareMe is a great tweak that can be useful at many instances. You can download the tweak from Cydia, however to use it you will have to purchase the license by tapping on the ‘Buy Now’ button from the pop up that appears in Messages app. The license for this tweak costs $1.29.